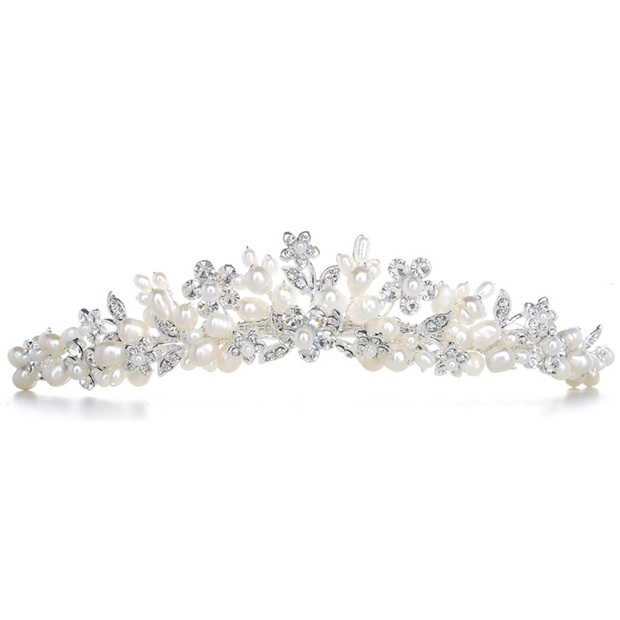 * Clusters of freshwater pearls abound in this exquisite bridal tiara by Mariell. * The pearls in this shimmering headpiece are adorned with brilliant Swarovski crystal flowers. * Our 1 1/4" h tiara with silver eyelets is the perfect hair accessory for your beach or destination wedding.